Gun Confiscation in Shasta County? Do you remember Hurricane Katrina? It was a massive natural disaster, and public officials gave orders to confiscate the firearms of law-abiding citizens. The order stated (per Deputy Police Chief Warren Riley) -“ No one will be able to be armed - we will take all the weapons”. House to house searches were conducted, including vehicle, and boat searches. Imagine hearing loud banging on your door as a swarm of heavily armed personnel invades your home. Their guns are drawn and they are pointing them directly at you. They are prepared to use deadly force against you, a law-abiding citizen. You are shocked, and can’t understand why you are being handcuffed, dragged out of your home, and the guns, which you have a right and duty to have as an American citizen, are confiscated. During Katrina, those who swore an oath to “support and defend the Constitution of the United States of America, against all enemies, foreign and domestic”, violated the very oath they had sworn before God to uphold. During Katrina, National Guard, Sheriffs, Coast Guard, Active Duty Soldiers, and even undercover Special Forces were present. 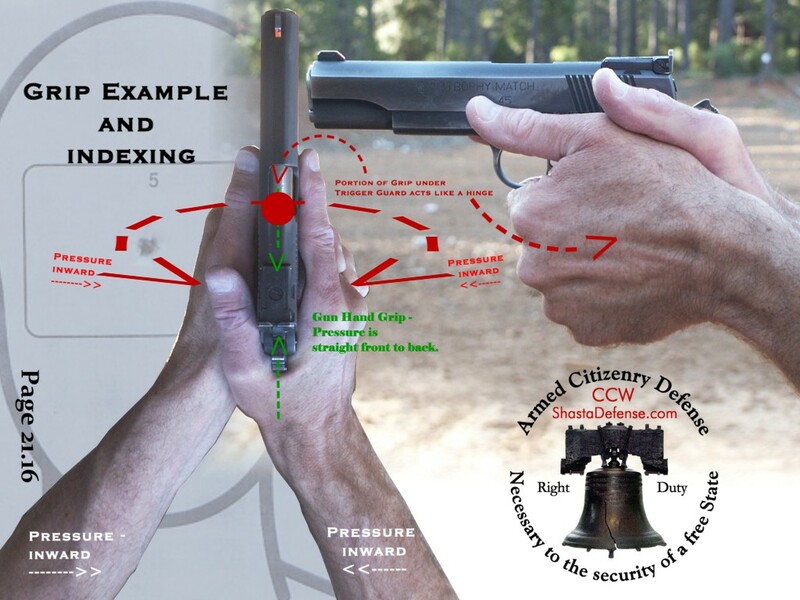 American Citizens were deprived of their God given Right and Duty of Self Defense, at gunpoint. Videos are on the Internet showing and reporting on the Gun Confiscations. There is a newly released update on the Katrina Gun Confiscations, which you may not know about. Recently, May 2010, it has surfaced that there was at least ½ of a National Guard Company (during Katrina) who advised their commanding officers that if they were given orders to disarm citizens, they would refuse to follow such orders because they were unconstitutional. So I ask you, if there were a massive disaster or civil unrest in Shasta County, man-made or otherwise, what would our governmental officials do? Have you asked your elected officials and those running for office what they would do if a state of “emergency” were declared in Shasta county? Well, it’s election time, and this is a very good time to find out. We need to know whether elected officials will actually follow the oath, which they will be swearing before God, to support and defend the U.S. Constitution, which includes your American Bill of Rights! I presented specific questions to various political candidates, including those running for the Office of District Attorney for Shasta County. Do you want to know what they said? First off, I didn’t ask the question “Do you support the 2nd Amendment”? Why? Because in today’s politically correct atmosphere any purported answer would be meaningless generalizations. Therefore, I asked pointed and specific questions. I also requested specific and direct answers. Two of my questions (they are labeled “B” and “C”) are set forth below, as well as the responses and lack of response. Question B dealt with the Purpose of 2nd Amendment and reads: “Do you recognize that the purpose of the Individual Right to Keep and Bear Arms is to protect all of the rest of your American Bill of Rights (which are God given rights, pre-existing before government), and to make certain that in the event governments become tyrannical and oppressive, then, as a last resort, the entire population of armed citizens can take back their liberties by force of arms?" For this question, the candidates were asked to specifically select from the following answer alternatives: “Yes, I recognize both purposes”, or “No, I don’t recognize both purposes”. Comment: Mr. Benito’s response shows that he took the time to think about the question, and also he provided a direct response. Again the candidates were asked to specifically state their view as to such an order, selecting between these two answer alternatives: “1. Proceed to confiscate the firearms;” or “ 2. The order is unlawful and in violation of the U. S. Constitution and you should refuse to obey it”. Comment: Again, Mr. Benito’s response shows that he took the time to think about the question, and also he provided a direct response. Comment: Before submitting this article, I again called Mr. Carlton and advised him that I desired his response to these specific questions for this article. When I previously called Mr. Carlton, I understood that a written response would be provided. During my last conversation, Mr. Carlton stated that he “believes in the second amendment”, and words to the effect that the questions are not really applicable to the position he is running for, and that really that was all he had to say. Mr. Carlton had previously advised that he would not support conduct he “knew to be unconstitutional”. Mr. Carlton again didn’t provide a direct response to the actual questions. His answers were evasive and non responsive. Further, if a county public official (e.g., police etc…) violates your legal and Constitutional rights, the District Attorney should be involved. The viewpoints of the District Attorney are relevant. Although Mr. Carlton advised he would not support conduct he “knew to be unconstitutional”, he refused to answer the actual question as to whether Katrina style gun confiscation would be unconstitutional. That was the point of the question. In Closing: I will be honest with you, before conducting the above survey, I had read the political ads. I had visited the candidate’s websites and I was actually tending towards voting for Mr. Carlton. However, after spending substantial time and effort on this matter, and to receive boilerplate answers from Mr. Carlton, combined with his refusal to provide direct and responsive answers to these questions, was shocking. The responses only required that the applicable “box” be checked for your answer. When people who want our vote will not give a straight answer to a very clear question, then why would we vote for them? I am now changing my vote to Jerry Benito. Ask those running for office to answer your specific questions with specific answers. And remember to elect into office only those who will actually follow the Oath they will be taking before God, to “support and defend the Constitution of the United States of America, against all enemies, foreign and domestic.” They are to represent American citizens, and to follow the United States Constitution. That is their job. Nathan Zeliff is an authorized instructor for Concealed Weapon Permit Courses in Shasta and Tehama Counties; and is a Certified NRA Instructor in the following disciplines: Pistol, Rifle, and Personal Protection in the Home.